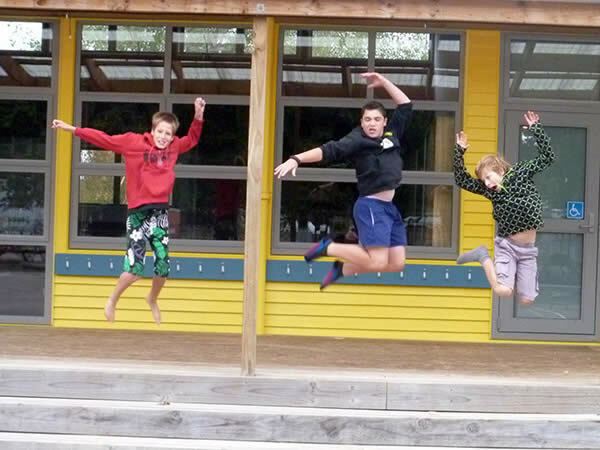 A report with photos on the new classrooms, by Montessori students Sam Hunter and Andrew Miles. The new classrooms are much better than the old class rooms because they’re more organised, brighter, bigger and over all, better. The builders started building it near the end of term 3 last year and finished it half way through term 1. They took a while but it was definitely worth it. When they were finished, whaea Tina blessed the buildings, we all said the karakia and that’s when we got our first look inside. Now we are planning to refurbish the toy library.